The Great Taste Awards, given annually, recognizes food and drive of excellent quality and flavor. On several occasions, Chocolate Santander has won this award. 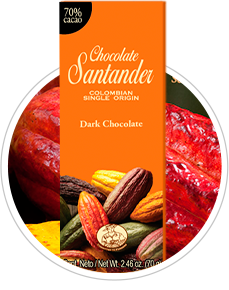 This great Chocolate expo is held every year in New York City, and Chocolate Santander was there in 2009 to receive the award for “Best in Show – Best Chocolate Confection”. The best chocolatiers and bakers of the world participate at this event and demonstrate their pastry skills live. The International Taste & Quality Institute (iTQi) in Brussels is an independent organization of chefs and sommeliers dedicated to tasting and promoting food and drinks. This institute gives the “Superior Taste Award,” and, in 2008, Chocolate Santander's excellence qualified the product to be awarded a seal of quality which clearly differentiates its products from those of the competition. The iTQi's jury works alongside fourteen of Europe's most prestigious culinary institutions, such as Maîtres Cuisiniers of France and Belgium, the Academy of Culinary Arts, Federation of Cooking Associations, Académie Culinaire of France, Associations of Spanish Cooks, Jeunes Restauranteurs d'Europe, Federaxione dei Couchi Italiana, Hellenic Chef's Association, Verband der Köche Deutschlands, EuroToques and the Association de la Sommellerie Internationale (ASI). 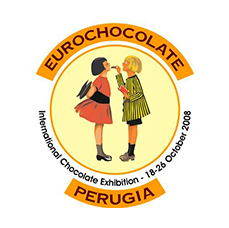 EuroChocolate is an annual chocolate festival held in Perugia, the capital city of the Umbria region in Italy. In 2008, Chocolate Santander participated in this important festival, where the biggest hand-made and large-scale manufacturers of chocolate in the world gather. 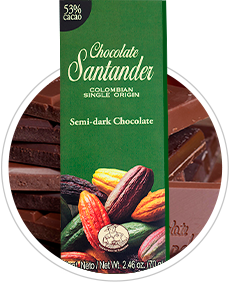 That year, Chocolate Santander was recognized as the best foreign chocolate in EuroChocolate. This event has been celebrated since 1992 and is one of the biggest festivals in Europe. EuroChocolate has a special section called EuroChocolate World, pertaining to culture, traditions and the socio-economic perspectives of the main cocoa producing countries. It's an opportunity learn and create dialogues about the sustainable development of the global economy of cocoa, particularly production, and social and environmental impacts.